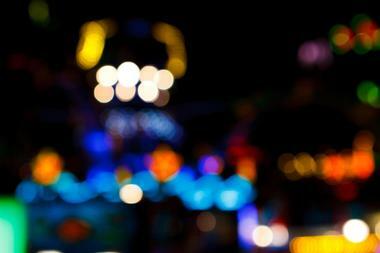 When it comes to high-energy thrill rides and iconic roller coasters, Disney does it best. Whether its the iconic Thunder Mountain, which rattles through an abandoned mine shaft, or Disney World’s classic Space Mountain, which dips and trips through outer space, the world-renowned brand certainly wins the award for best roller coasters, rides, and attractions. Here are some of Disney’s top roller coaster rides around the country. Located in the Storybook Circus at Walt Disney World Resort’s Magic Kingdom Park, Barnstormer – Featuring the Great Goofini is a roller coaster based on the character of the Great Goofini, who is renowned for his aerial expertise and high-flying stunts. 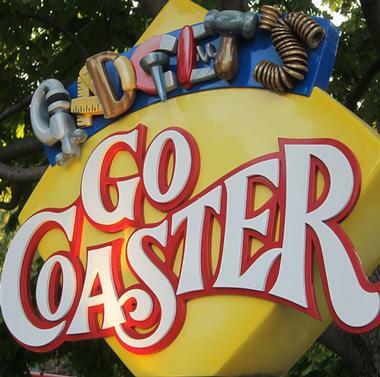 Designed for younger children, the junior roller coaster was previously known as The Barnstormer at Goofy's Wiseacre Farm before it was re-themed to The Barnstormer featuring the Great Goofini. The one-minute ride features iconic swoops and swirls at a graceful pace on one of two trains, which each seat 16 riders and reach top speeds of up to 40 kilometers an hour. Big Thunder Mountain Railroad is an iconic roller coaster ride located in Frontierland at Disneyland Park worldwide. Named for the fictional rail line the roller coaster depicts, Big Thunder Mountain Railroad runs through rugged landscapes of arid desert and bedrock and into a 200-foot mountain to the Big Thunder Mining Company, which was founded in the early days of America’s Gold Rush. Visitors venture down an abandoned mine shaft on a five-car locomotive, which then whizzes and whirls through the darkness of the mining shaft in spectacular form. 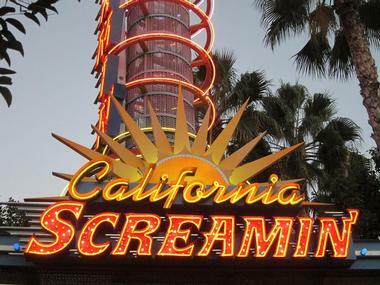 California Screamin’ used to be an iconic roller coaster that could be seen for miles, designed to resemble an old-fashioned wooden coaster from pleasure piers of the 1920s with over a mile of track. 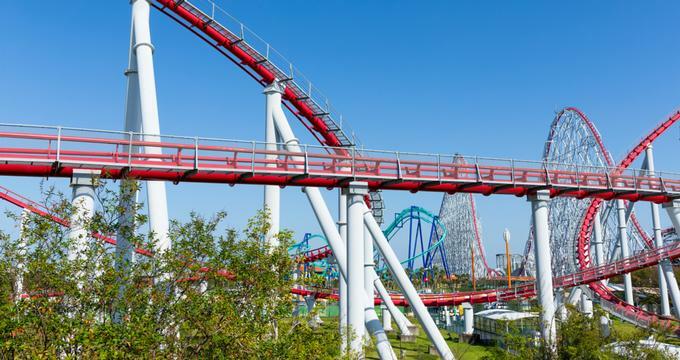 The classic ride has been redesigned and opened as the Incredicoaster, a new high speed experience featuring characters from the popular movie, The Incredibles. 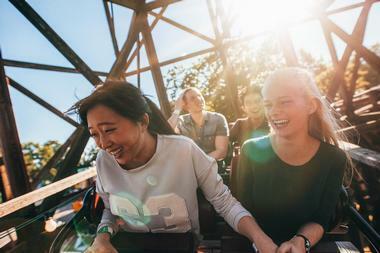 The roller coaster features fully enclosed tunnels with the character of Mrs. Incredible, otherwise known as Elastigirl, stretching above the heads of the riders, trying to catch her baby. The Incredicoaster can be found on the newly designed Pixar Pier in Disneyland California. Trek through the Himalayas and climb the Forbidden Mountain on this exhilarating roller coaster at the Walt Disney World Resort. Modeled on the ancient legends and myths of Southeast Asia, Expedition Everest — Legend of the Forbidden Mountain is a steel roller coaster that takes visitors into the snowy slopes and ice-capped peaks of the Himalayas with spectacular views from the top of the ride. Themed around a Yeti wanting to protect the Forbidden Mountain next to Mount Everest, the ride has made it into the Guinness Book of World Records for being the most expensive roller coaster in the world. Gadget's Go Coaster, a family-friendly roller coaster designed for younger visitors, is based on the work of the character Gadget Hackwrench, one of the characters from the animated Disney series Chip ‘n Dale: Rescue Rangers. 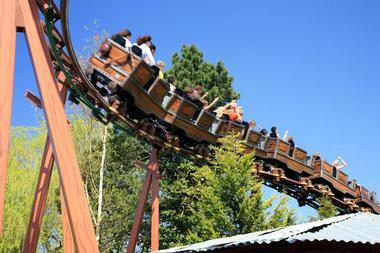 The shortest ride at Disney – only 44 seconds – Gadget's Go Coaster features gentle bumps, twists, and turns that offer young children an exhilarating ride, with Gadget visible on top of a small weather-vane on a building as the ride moves toward Chip and Dale's Tree House and on a postage stamp in the attraction's loading area. Another Disneyland classic, the Matterhorn Bobsleds are a pair of intertwined steel roller coasters modelled after the famous mountain of Matterhorn in the Alps of Italy and Switzerland. 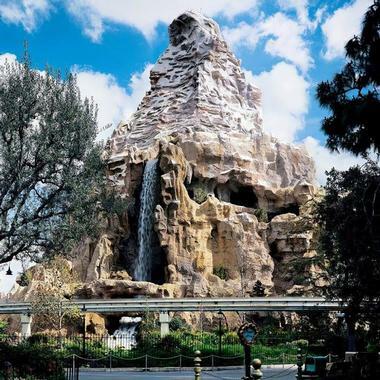 The first tubular steel track roller coaster of its kind, Matterhorn Bobsleds swoop in and out of shadowy caves, twist and turn along jagged rocky ledges, and throttle through icy chutes and around frozen precipices. Located between Fantasyland and Tomorrowland at Disneyland in California, the Matterhorn Bobsleds are perfectly situated to add an exhilarating perspective to the already heart-stopping ride. Located at Disney World Resort’s Animal Kingdom, Primeval Whirl is a dinosaur-themed carnival-style attraction made up of two spinning roller coasters with identical layouts but facing opposite directions. The steel wild mouse roller coaster forms part of the dinosaur-decorated amusement park Dinoland USA’s Chester and Hester's Dino-Rama and features 13 cars that spin in circles while traveling on tracks. 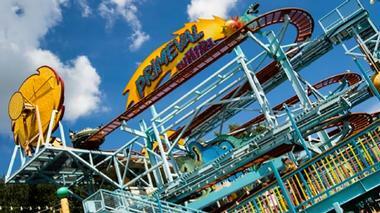 Primeval Whirl has a time-travel theme and is based around the meteor that is believed to have caused the Ice Age and the subsequent extinction of the dinosaurs. 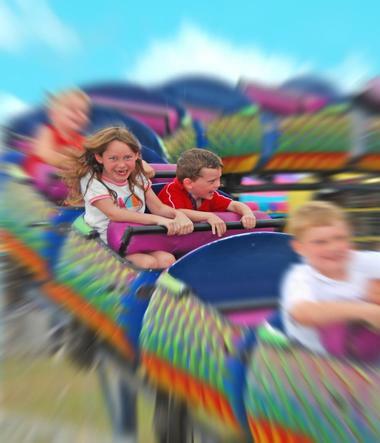 Designed as a time machine, the ride dips and turns and whizzes past cartoon-styled dinosaurs and dazzling meteors before gliding through a unique fossilized jigsaw puzzle of bones from ancient dinosaurs. Rock ‘n’ Roller Coaster is an indoor roller coaster paired with a one-of-a-kind soundtrack from the famous rock stars of Aerosmith. One of the fastest rides at Disney Parks, Rock ‘n’ Roller Coaster can be found at both Walt Disney World Resort and Disneyland Paris, and it accelerates from 0 to 57 miles per hour in 2.8 seconds, offering a thrilling experience with 4G’s of speed. The enclosed steel roller coaster features four trains, each of which plays four Aerosmith songs while the rollercoaster flies past images, mementoes, and memorabilia of the band and its members. A Disney classic, Space Mountain is a unique indoor roller coaster that takes visitors on a dippy and trippy ride through an outer space adventure. 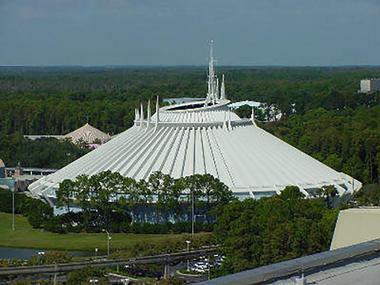 There are different versions of the ride, such as the Star Wars version at Disneyland Paris, Hyperspace Mountain, and a ghoulish Halloween version called Space Mountain Ghost Galaxy at the Disney World Resort. In addition to the popular roller coaster, Space Mountain also features a 1,100-seat Space Stage, a 670-seat Space Place food court, and a Starcade with a variety of arcade and video games.